>It’s been a long time! 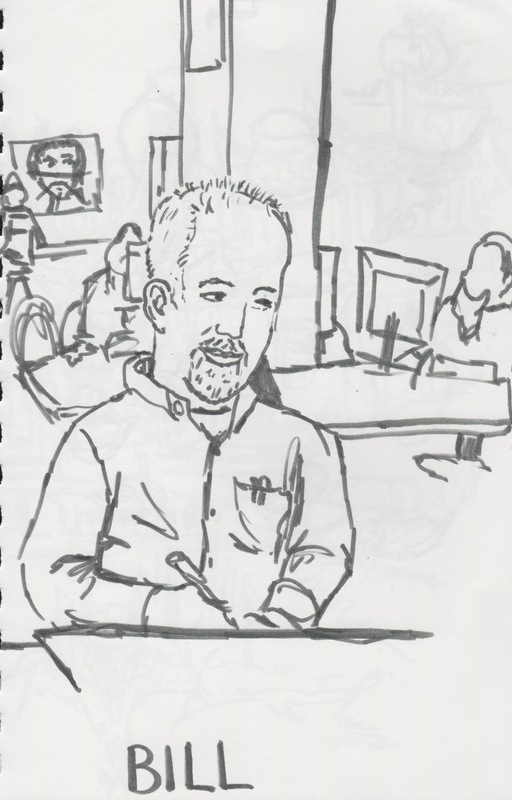 >Wow, it has been a really long time since I last posted to this blog. Let’s see, I missed Halloween-New Year’s…. 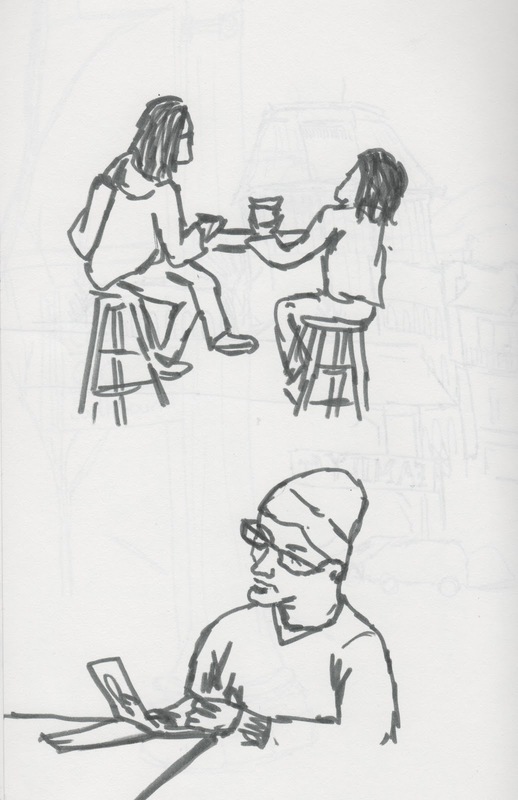 I will make up for it by posting sketches from my most recent sketchcrawl. These are in reverse order…but that’s fine. 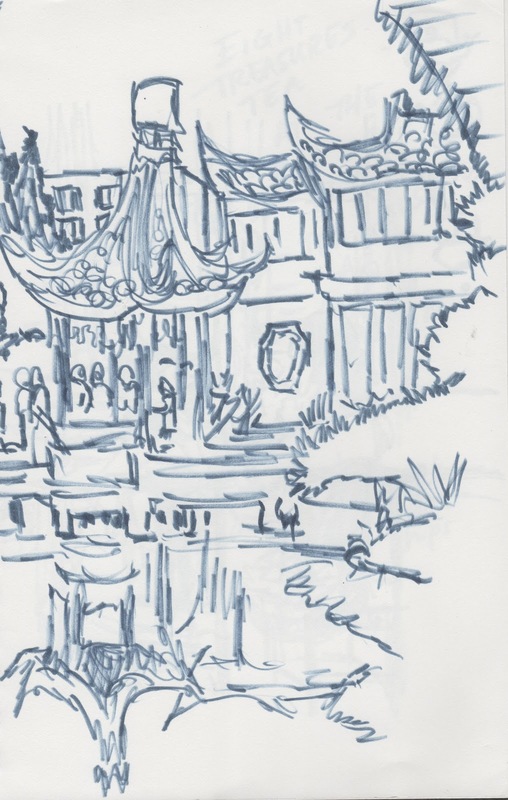 I ended my sketchcrawl day at the teahouse at Lan Su chinese garden. It was my first time there. 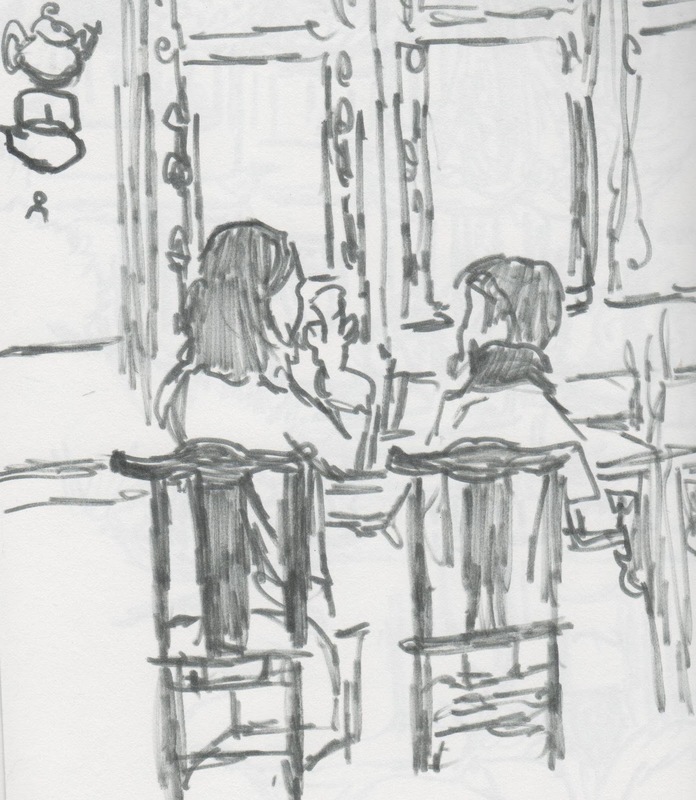 I had eight treasures tea which was really very good. 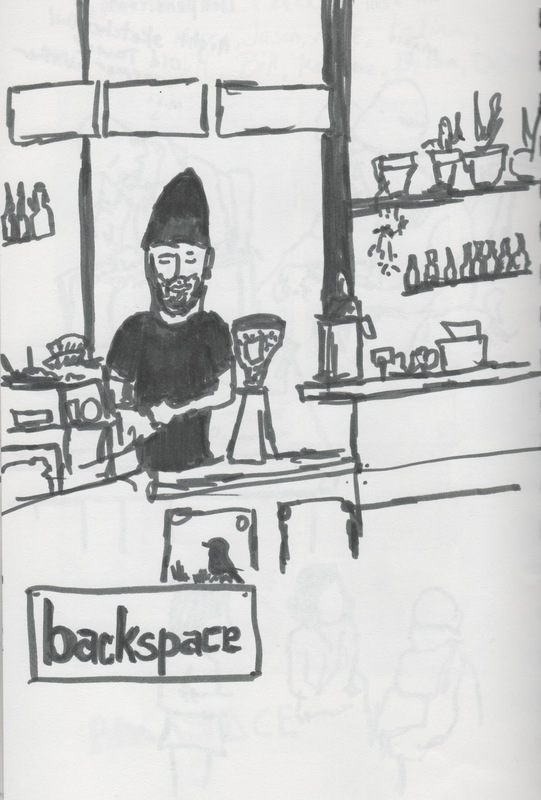 Backspace cafe barista…I think i made his hat too pointy. He didn’t look quite so gnomeish in person. It was great meeting up with folks. For the first time since I started the group, we had more guys than gals! 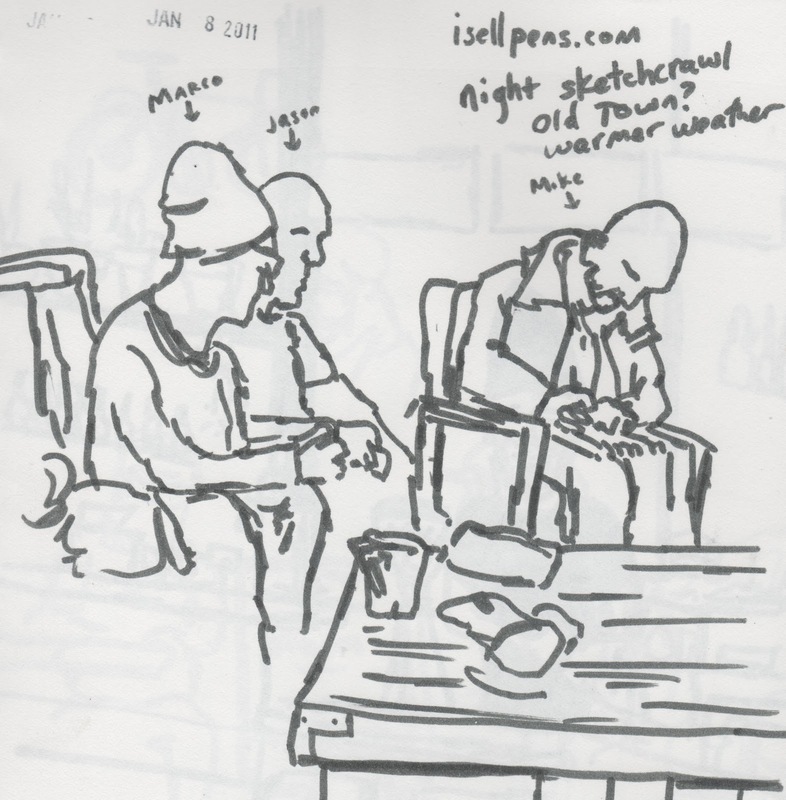 I’ve really been enjoying myself at sketchcrawls….but unfortunately i have not been as in to blogging. I would like to post at least monthly from here on out! This entry was posted in old town by Alanna Randall Beckwith. Bookmark the permalink.